I get many email from my readers for so many queries. Personally I am not able to reply to all those persons and hence feels bad. So, now since I am not in a mood to start a forum (because I cannot manage due to hectic schedules), rather I thought to make a blog post about this and thought to ask all your readers. So, here I am going to list all queries I received recently. I really hope and expect from you readers to help out other readers. There are many benefits of helping others in this case. You gain name and fame. You get recognized by this not-so-big industry. Its actually brings you respect from fellow readers and you’ll never know, you may also get benefited in future by someone help whom you helped here. So, hereby I am listing queries as following and currently keep the name withheld. If readers are comfortable that I may mention name too, then do tell me in comments. I’ll update the post accordingly. One of our reader requires some detail in Distillation Column Piping & supports details. Please provide some notes or reference links for same. Another reader requires some notes or paper on Simulation of Velocity of Pig (various type) in liquid and gas pipeline. One readers wants to know about, How we Fabricate Miter Bend of any angle position in any nominal size pipe. One readers wants some catalog related to stress piping. He is a Sr. Piping Stress Checker. I am sure, if he get helped, he may also like to help all. One wants to know about all the steps applied during Piping Fabrication. One sent us an email and requested for PDF files or links related execution of FEED project such as steps involved in FEED, Calculations done in FEED etc. I am sure many of you would be having this. 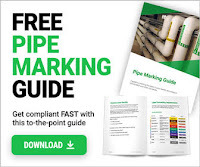 One requested for notes or some documents or some detail on EHT – Electrical Heat Tracing of Pipelines – Technology, Process, Economics etc..
At last – One of our reader requires about an ebook on Design and Installation of Marine Pipeline and An Introduction to Pipeline Pigging. So, I really look forward from all you readers to help other fellow persons in this industry. I would give full credit to you guys for this and would mention your name any other detail you would like to get published in our future blog posts. In case if you have got some documents to share with us, do send us that to ankit[@]pipingguide[dot]net . My mailbox can receive attachments upto 25MB or if you have a bigger size files, upload them to dropbox or any other file sharing site and share links here or on my email. I would be really thankful to all those guys who may come forward to help our fellow readers. And if we get great response, I would love to share more queries here if I receive any from you fellow guys.